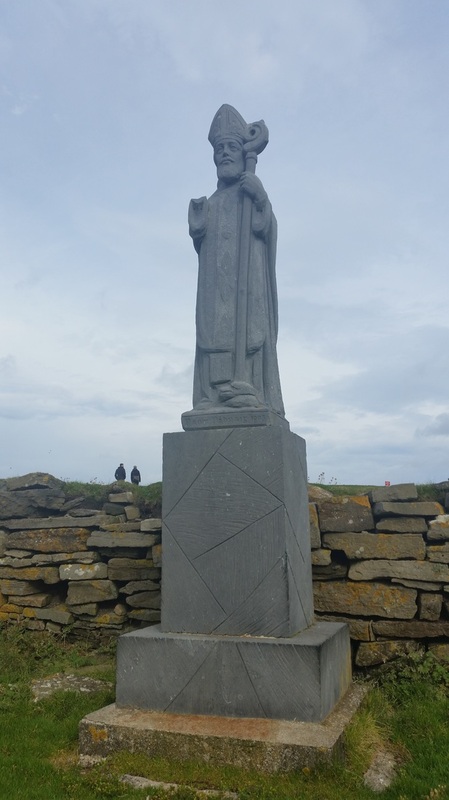 St Patrick, Ireland's Patron Saint founded a church on Downpatrick Head. The ruins of a later built church now mark the location. St Patrick is honoured with a statue which was erected in the mid 1980s. Given its religious associations, Downpatrick Head was once a popular destination for pilgrims, who came here each year on the last Sunday of July, known as ‘Garland Sunday’. Today that tradition lives on, and mass is still celebrated at Downpatrick Head on that same day.